Q: What are the top regions for Goldwind's growth in next five years? 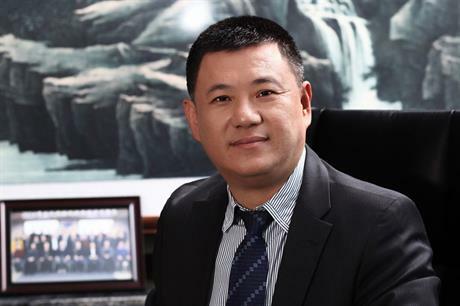 Wang Haibo: China, US, Australia, and emerging markets such as Pakistan, Turkey and Thailand. Outside China, we closely follow mature international markets and the emerging markets such as Latin America, Africa, and Asia. We have achieved breakthroughs and our share is expected to grow. In the past eight or so years, we have worked on wind projects in 15 foreign countries, with total orders exceeding 1GW in capacity. We believe that localisation is the cornerstone of Goldwind's long-term international development. Management under different cultures and environments means adapting products to the natural environment and meeting technical requirements of the different markets, and businesses run by international talents. Q: What models are expected to achieve the greatest sales, and where? WH: In the domestic market, the 1.5MW and 2MW turbines have the greatest sales, and the 2.5MW turbine has received excellent response from abroad. Goldwind will adopt different tactics for different markets. Aside from selling wind turbines, we will increase investment in developing wind farms in mature markets such as the US and Australia, and engage in other wind projects to secure deals and expand sales. In new markets where wind development is weak, as well as turbines sales, Goldwind can provide engineer, procure, construct services, finance or direct investment to secure orders. In markets that require relatively high local content, we will foster a local supply chain to meet the demand. Q: What does Goldwind hope to achieve with its new digital tools for site planning? WH: The application of new digital platforms is very important. We have installed more than 19,000 wind turbines, over 26GW in capacity, and have amassed a large stock of extensive data that can be used to help reduce the cost of wind power through facilitating wind-farm site selection and design, turbine problem diagnosis, efficient operation and maintenance, as well as providing accurate information for bank and financial use. Q: What are the next areas of technology and turbine development for Goldwind's product portfolio? WH:Goldwind is committed to providing clients with a competitive cost per megawatt hour, and turbine developments will look at enhancing existing platforms to suit difficult environments, such as operating temperatures of 45oC in Pakistan; improving power-generation performance and reliability; and developing larger rotors for low-wind-speed sites and to generate more electricity. Goldwind will also look at developing new platforms for larger turbines, such as those for offshore sites. Q: How does China's focus on power output rather than installation affect Goldwind's strategy in China? WH:The Chinese government's efforts to make the grid absorb more wind power to reduce curtailment and increase availability of wind projects is a major trend, and a push for sustainable development of the sector. We will continue to take care with wind technology and quality control to provide products that are cost-effective in performance. Q: What are Goldwind's plans for going offshore - in China and internationally? WH:Offshore wind is the future. Goldwind's strategy is to push it forward actively and steadily. In the coming five years, we'll keep developing offshore products, progressing steadily in technical reserve and prototype installation and testing. We will not bring the turbine to market in a hurry. The high risk of offshore wind demands high availability of the machine. The designed average available hours for the Goldwind 6MW turbine is 8,000 hours. This means the machine is supposed to be out of order only once in a year.